North American Terminals offers all retail merchants the ability to process credit and debit card payments through wholesale credit card machines and affordable merchant accounts. Our low rates and exceptional service ensure your satisfaction for all equipment and transactions. We offer cutting-edge technology, superior customer service and top-of-the-line fraud protection to give your business the processing you need. We'll match you with software solutions that will best suit the unique needs of your company. No contracts, 24 Hour support - - SATISFACTION GUARANTEED! Whether you are a new business or an existing one – North American Terminals can offer you the finest in equipment and merchant accounts. There are NO start up costs. Contact us today to request a quote for your business. LOW RATES North American Terminals offers the best rates possible for merchant service accounts. Request a quote for your new business or compare your current rate to ours. You will not be disappointed. North American Terminals offers both a stand-alone terminal and a virtual terminal to suit your specific needs. Retail merchants are those businesses that process transactions, face-to-face, through a swiped credit card terminal. By accepting swiped payments, retail merchants can obtain lower discount rates on transactions and mitigate risk. North American Bancard offers qualfied rates starting as 1.10% for swiped credit card merchant accounts -- one of the lowest rates in the industry! Retail merchants operate from both brick-and-mortar storefront locations or on the road, through the use of a wireless credit card terminal. In both cases, at least 50% of all payment processing activity should involve face-to-face swiped transactions to be considered a retail merchant. Retail merchants also have the ability to process checks, gift cards and PIN-based debit card transactions. Process credit and debit cards virtually anywhere. Make sales whenever your customers are ready to buy. Avoid expensive land-line phone services. Perform fast credit and debit card authorizations. Receive technical support 24 hours a day, 7 days a week. View your account activity online. North American Bancard & Terminals understands that when it comes to mail and phone order businesses, customer satisfaction is paramount. Because you and your staff do not meet customers in person, each transaction contact point is critical. When a customer decides to purchase your product, the payment process has to be seamless. Our commitment to providing unmatched customer service and offering the newest state-of-the-art technologies means that you can rest assured that all of your customers’ payment experiences are positive. North American Terminals offers both a stand-alone terminal and a virtual terminal to suit your specific needs. Our virtual terminal offers a host of options including recurring billing and the ability to accept checks by phone. 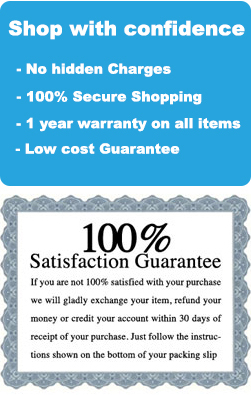 We offer mail and phone order merchant account rates starting as low as 1.60%. Expand your online operation by stepping into the digital age with North American bancard & Terminals. We offer cutting-edge technology, superior customer service and top-of-the-line fraud protection to give your business the digital processing you need. We'll match you with software solutions that will best suit the unique needs of your company. We work with top companies in the industry, including First Data, Global Payments, Authorize.Net and Microsoft Dynamics. We will even help you customize your software by recommending plug-ins and add-ons that will make your online business run more smoothly and efficiently. North American Terminals offers rates starting as low as 2.10% for Internet Solution credit card merchant accounts. North American Terminals offers merchant accounts on a monthly basis. No yearly agreements. No cancellation penalties. Our exceptional service and low prices will sustain your business. PCI Compliant Credit Card Machines at Wholesale Cost North American Terminals offers a wide selection of credit card machines at great value. Please visit our credit card machine page to view our extensive selection of equipment. North American Terminals offers will reprogram current machines at NO COST. Your business will never be out of service. Our merchants receive replacement machines for machines that aren’t working. If your machine breaks, simply notify us and we will program and ship out a replacement – FREE. North American Terminals offers round the clock personal support as well as all day service from First Data, First Data, Global Payments, Authorize.Net and Microsoft Dynamics. Enjoy the North American Terminal Advantage. Contact us today for FREE estimate.